It’s clear that Texas Lt. Gov. Dan Patrick didn’t give state Sen. Kel Seliger any love when he handed out committee assignments for the 2019 Texas Senate. He yanked the Amarillo Republican out of the chairmanship of the Senate Higher Education Committee, pulled him off the Senate Education Committee and off the Finance Committee. 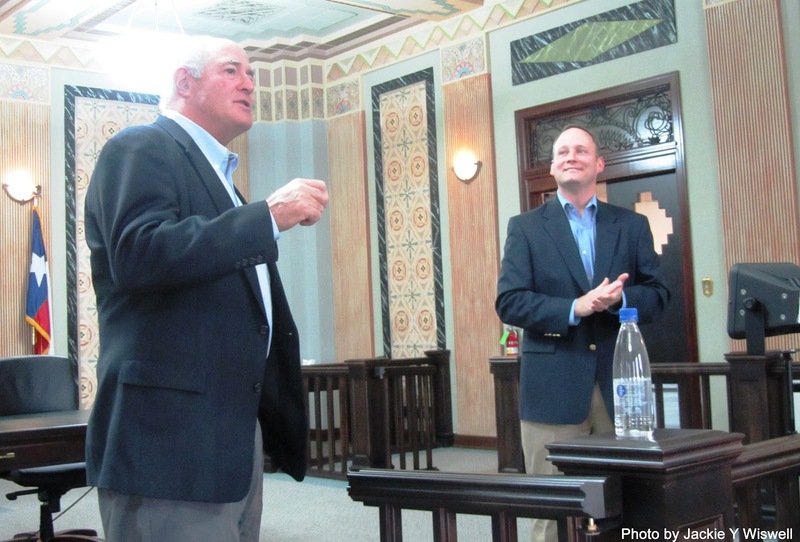 Patrick “awarded” Seliger the Agriculture Committee chairmanship then snatched that one away when Seliger made an impolite comment about a key Patrick adviser. Now, what about the Texas House of Representatives? Well, Speaker Dennis Bonnen has handed out a gigantic gavel to state Rep. Four Price, another Amarillo Republican. Price will chair the House Calendars Committee. It’s a big deal, man! Here’s why: The Calendars Committee determines the legislative flow; the chairman is able to stop legislation from being considered by the full House. OK, so it’s more of a procedural panel than a policy-making one. But . 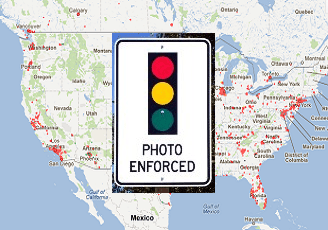 . . it carries huge responsibility in determining how the House does its business. I mention this because I don’t expect Rep. Four Price to carry on in that fashion. He’s a more, um, humble individual who seems — as I have known him — to take his public service far more seriously than he takes himself. Dennis Bonnen, an Angleton Republican, is poised to become the next speaker of the Texas House of Representatives. I wish him well. 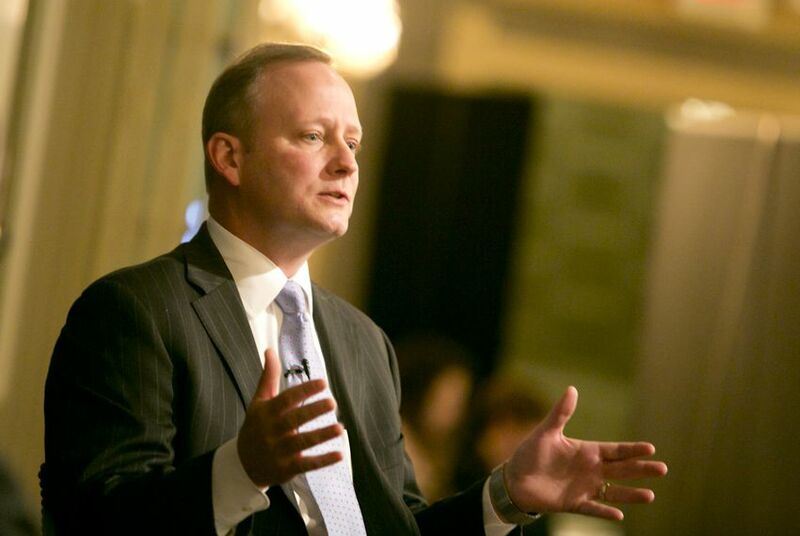 He succeeds Joe Straus of San Antonio, the GOP strongman who stood up to Lt. Gov. Dan Patrick and the Texas Senate when the need arose. I hope Rep. Bonnen is made of the same stern stuff. He’s a moderate who likes to work across the aisle. He has had his differences with the Freedom Caucus wing of the legislative Republicans who serve with him. But the Texas Tribune reports that almost all the returning Freedom Caucus members are OK with the new speaker, assuming he gets the nod in January. I get that the Freedom Caucus comprises only 11 members in a 150-member Texas House. History tells us that far right and sometimes far left fringe groups develop outsized influence that reaches far beyond their meager numbers. 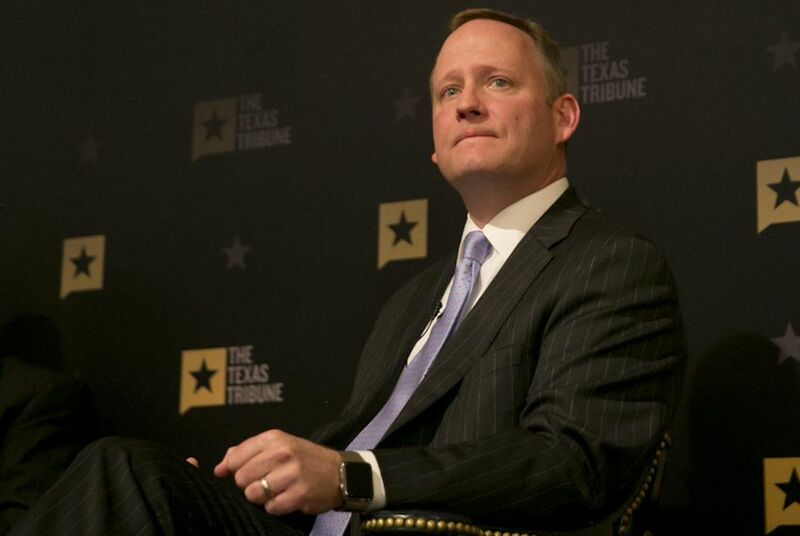 Given the nature of Texas Republican politics, it’s likely too much to assume the Freedom Caucus will follow the speaker’s lead and become more of a moderate influence in the Legislature. Whenever I think of these far-right groups, I think immediately of Empower Texans, the right-wing loons who sought to topple two of the Legislature’s shining stars — two fellows who happen to be friends of mine to boot! They are state Rep. Four Price and state Sen. Kel Seliger, two Amarillo Republicans who fended off challenges in handsome fashion. The challenge was financed by Empower Texans, the far right group that seeks to influence local political races all across the state. Empower Texans got its mitts on a number of contests, but given that I was living in during the spring primary season, I got to witness Empower Texans’ dirty work up close. So, it is my hope that the new speaker keeps his distance from the Freedom Caucus and certainly from Empower Texans. Will the new speaker be a bulwark? 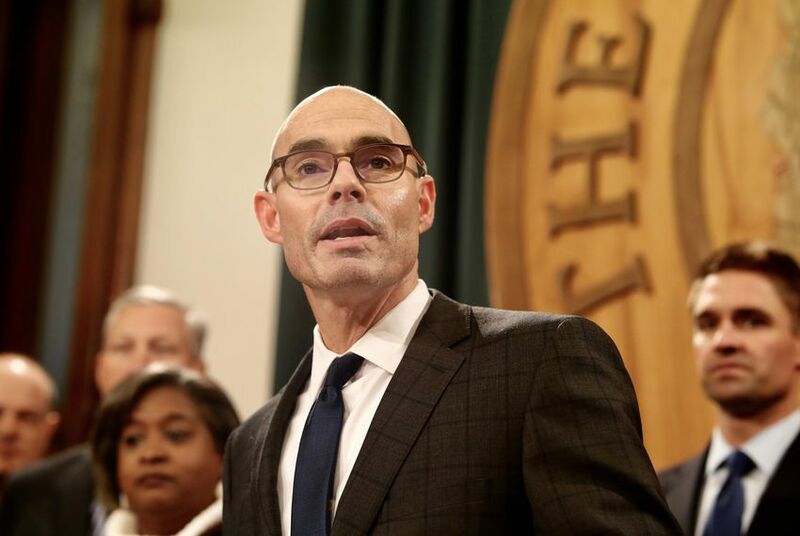 State Rep. Dennis Bonnen appears set to become the next speaker of the Texas House of Representatives. The Angleton Republican says he has the votes to win the job when the Legislature convenes in January. I’m glad for him. I am not yet willing to say I’m glad for the state, given that I know nothing about him other than what I’ve read in recent days. My favorite speaker candidate, Republican Four Price of Amarillo, bowed out of the race; three other GOP hopefuls did the same. They left the field open to Bonnen. I have a request of the presumptive speaker: Will you act as a bulwark against some of the Texas Senate’s more reckless impulses, the way the current speaker, Joe Straus, did in 2017? I hope he does. Indeed, I understand that Bonnen has a bipartisan streak he might be willing to exhibit. One way is to select Democrats to chair House committees. Bonnen is making some noise that he might stand tall against the likes of, say, Lt. Gov. Dan Patrick, the leader of the Senate. The men have had an occasionally testy relationship. That suits me fine, given my distaste for some of the stunts that Patrick has tried to pull on the Legislature and, therefore, on Texans. The most notorious stunt, of course, was the 2017 Bathroom Bill that the Senate shoved through at Patrick’s insistence. It got to the House during a special session in the summer of 2017. Speaker Straus dug in. He ensured the death of the bill that would have required individuals to use public rest rooms in accordance with the gender assigned on their birth certificate. The Bathroom Bill intended to discriminate against transgendered people. Straus was having none of it. Bonnen says he is an ally of the lame-duck speaker. I hope he remains faithful to Straus’s policy in running the House of Representatives. The early indications about a Dennis Bonnen speakership look promising. Don’t let me down — please! — Rep. Bonnen. Four Price of Amarillo, as fine a legislator as I’ve ever had the pleasure of knowing, has decided he doesn’t want to be the next speaker of the Texas House of Representatives. OK, in the interest of full disclosure, I’ll acknowledge that Price also is a friend of mine. I’ve known him almost from the day I arrived in the Texas Panhandle way back in January 1995. He was elected to the Texas House in 2011, succeeding another Republican lawmaker, David Swinford. I wanted Price to run for speaker after Joe Straus announced he wouldn’t seek re-election to his House seat from San Antonio. I said so a time or three. Then Price decided to go for it. Now he’s out. He’s thrown his support to Rep. Dennis Bonnen, R-Angleton. If you know Four Price, you get the unmistakable sense that he means precisely what he told the Tribune. That he is dedicated to the state’s future and wants the best for it. It happens to be one of the reasons why I wanted him elected speaker of the House when the Legislature convenes in January. If Four Price is up to remaining in the Legislature, I’m sure he’ll be in the hunt for the speakership at a later date. That, too, would be good for Texas. You know already that I am delighted to see Republican state Rep. Four Price of Amarillo toss his Stetson into the contest to become the next speaker of the Texas House of Representatives. I alluded in an earlier blog post how West Texas, namely the Panhandle, need a strong voice to call attention to their needs. Having a son — or daughter– from the Panhandle in the speaker’s chair certainly would elevate the region’s profile in Austin. But you know, the Panhandle and South Plains haven’t exactly been cast into the political wilderness over many years. Pete Laney, a Democrat from Hale Center, served as speaker until he was ousted by Tom Craddick, a Republican from Midland. Republicans took control of the House and Craddick saw his chance to lead the 150-member body. He enlisted support from GOP state Reps. David Swinford of Dumas and John Smithee of Amarillo, the Panhandle’s two representatives who had formerly backed Laney. I admit to being furious at the time. I hated the way Swinford and Smithee turned on their “pal” Laney. The reality, though, is that West Texas remained a player with Craddick handling the House gavel. Craddick eventually ceded the speaker’s job to Joe Straus of San Antonio, who this year announced his retirement from the Legislature. Thus, the door is opened wide for someone new to take control of the House. I hope it’s my friend Four Price. I no longer live in Amarillo, but I remain intensely interested in the Panhandle’s political future. You go, Rep. Four Price! It would be presumptuous of me in the extreme to assume that state Rep. Four Price of Amarillo read a recent blog post of mine and then decided to run for speaker of the Texas House of Representatives. Whatever, my friend has joined a growing gaggle of politicians seeking to succeed Speaker Joe Straus as the Man of the House. I applaud him for taking the plunge. Price joins four fellow Republicans and a Democrat in the speaker’s race. I’ve already stated my bias. Price is my friend and, thus, my admiration for his legislative skill is tainted somewhat by my personal affection for him. 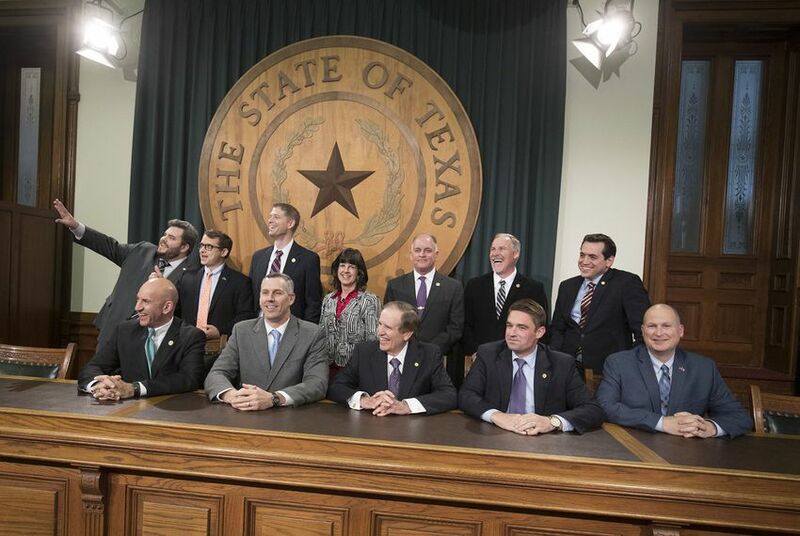 Still, the young man has cast a large shadow over the 150-member Texas House since he joined that body in 2011. I am quite certain Price knows what becoming speaker would mean to his role as a “part-time citizen legislator.” It means he would become nothing of the sort. House speakers essentially become full-timers, on call 24/7 to the media, to fellow pols, to constituents who live far beyond their legislative districts. I find it impossible to believe that Price has failed to build sufficient political alliances within the House to make a serious run for the speakership. With all the talk we keep hearing about the shifting power balance in Texas, as rural districts such as the one Price represents in the Texas Panhandle lose their clout, a Four Price speakership could produce a boon to the often-overlooked region way up yonder at the top of Texas. So, good hunting, Rep. Price as you scour your colleagues for the support you’ll need as you seek to run the show in the Texas House. Where is Rep. Price in this speaker race? I just read where state Rep. Drew Darby has become the fifth member of the Texas House to declare his candidacy for speaker of the House of Representatives. What do I know about him? He’s a Republican (naturally!) from San Angelo. OK. That’s it. Now he’s running for Speaker Joe Straus’s job, which Straus is giving up at the end of the year after choosing not to seek re-election to another term. The roll of speaker candidates is missing a key player who has been reported to be somewhat interested, although he’s being typically coy about it. I refer to my friend state Rep. Four Price of Amarillo. I want Price to run for the speakership. I also want his House colleagues to elect him. I’ll admit to bias here. I’ve known the young man almost from the moment my wife and I moved to Amarillo in 1995. He is a lawyer and our paths crossed as I developed a list of friends — and sources — while working as editorial page editor of the Amarillo Globe-News. Then he decided to run for the Texas House in 2011, succeeding former state Rep. David Swinford in the District 87 seat. He won the GOP primary, which meant election in the heavily Republican House district. 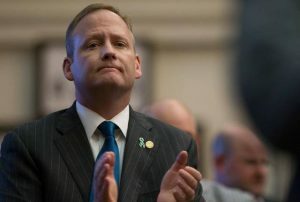 Price has acquitted himself handsomely, becoming a champion for the cause of mental health rehabilitation in the Legislature. He also developed a constructive alliance with Speaker Straus, a man for whom I developed great respect over his objection to that hideous Bathroom Bill that died in the special legislative session in 2017. You remember that one, yes? It would have required people to use public restrooms in accordance with the gender assigned on their birth certificate; it was clearly discriminatory against transgender individuals. Straus would have none of the bill that sailed through the Texas Senate. Four Price is an ally of the speaker and I’ll presume he backed Straus’s decision to torpedo the Bathroom Bill. What’s more, Price fended off a challenge this past year from someone who was backed by the far-right political action committee, Empower Texans. I believe Rep. Price would make a fine speaker of the Texas House. 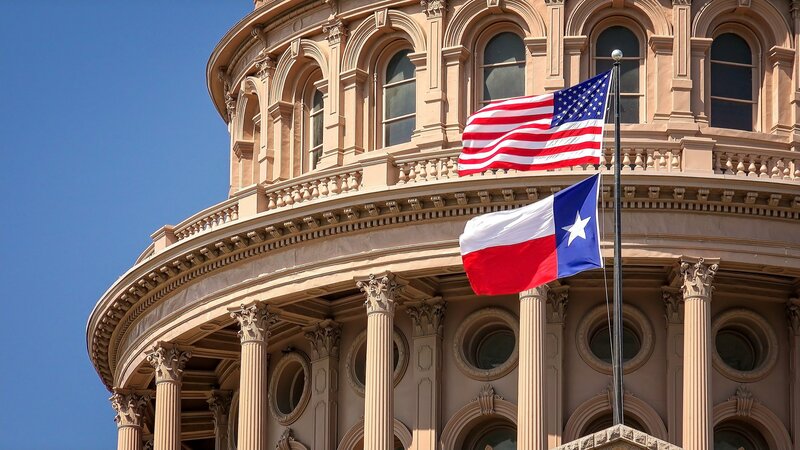 Yes, my wife and I have moved away from the Panhandle, but my interest in Texas politics and government is as strong as ever. Thus, I hope Rep. Price decides to compete for the title of Man of the Texas House.